The first great Roman lyric poet, noted for his sincere, elegant, and passionate eroticism, the model for the medieval tradition of the art of courtly love. One of the great influences on Crowley the lyric poet. 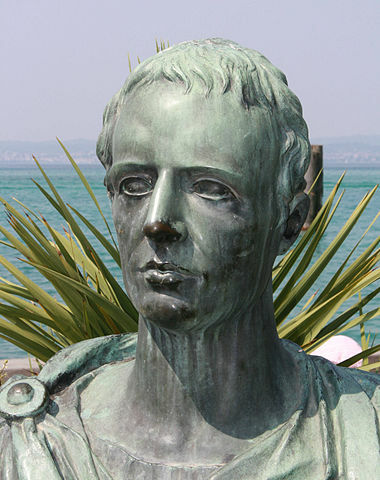 Catullus was born into a wealthy family of Celtic descent in the town of Verona in Cisalpine Gaul. His father was a friend of Julius Caesar, and sent his young son to Rome to learn the ways of the city. He was noticed by one Clodia Metelli, a married woman ten years his senior. They embarked upon a tempestuous love affair which provided the material for most of Catullus’s poetry. The “Poems to Lesbia” written in the style of Sappho, chronicle the affair from flirtation through passion to bitter betrayal. Catullus is also noted for two wedding songs written for his friends, a poetic description of an initiation into the dark rites of Cybelê (the Magna Mater or Bona Dea, whose cult was popular in Julian Rome), several elegies, a hymn to the goddess Diana, a miniature epic on the marriage of Peleus and Thetis, and numerous satiric epigrams on the follies and crudities of his Roman contemporaries. The poems of Catullus are known to us through a single manuscript found in his home town of Verona. even should Jupiter himself come calling.